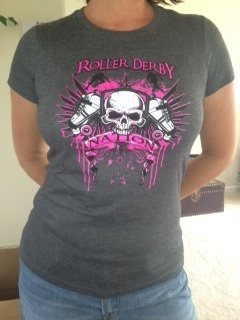 Rollin' News - World Wide Roller Derby News | Is the growth of Derby slowing down? How much Derby is the right amount? Sam Santos has taken it upon himself to try and compile an accurate list of every Roller Derby League in the world. He has a certain format: there must be some presence on the web, there must be recent posts and activity and more. And one thing he has found is that since his most recent update when he started the project, there have been 89 new leagues added, but 80 existing leagues have gone inactive (yes, he is tracking the “dead” ones also). And you can help him on his project by giving him information on live leagues and dead ones. His latest total is around 1595 leagues (I assume at this juncture, all women’s leagues). That is definitely a “wow” number, but there also appears to be a leveling off of growth. We know there is trouble (and joy) in Derbyville. It has hard to think that after watching the championship finals in MRDA and WFTDA (and yes, USARS), what possibly could keep the game from having even more future growth. I just rewatched the Rose City/Gotham game again, and it was goose pimples. Two teams that thoroughly understand how the game is to be played; great pack action, positioning......text book. And as we all saw, Windy City and BAD and a few others were at that level this year. And these games would be exciting for any fan of any sport. So why all complaints about decreasing attendance and need for continuing fundraising and hardship on the team players. I don’t think you can point to any one thing for all the leagues. If you had the continuing fan base and support that the finalists had, you probably would be very happy.....the first thing you should do is examine their operations and see what they are doing that is right. Of course, they all have large population bases to work with (but does that explain the past successes of Oly?). There is no simple answer. Some obvious things are oversaturation of leagues in number of locations; the scheduling of teams to play often makes little sense to fans or potential fans: when the scheduling of games is only for rankings but not creating competitive leagues in areas there is little incentive for someone to come back. Promotion and marketing is so important, but often is just limited to putting tickets on sale. But the most important thing is the game. Look again at how the finalists in these tournaments played it. You can learn so much from others. And with the upcoming States tournaments in Daytona and the Blood and Thunder World Cup in Dallas (with the majority of countries that play the game competing), there is more to learn from. If you charge admission, the fans must enjoy your “event” (and you must make it one). I often hear that the rules make the game boring at times......I feel the bending of the rules causes the problem. You don’t have to skate the passive offense; I personally wish no one did. Before your next season evaluate what you must do to make your league more successful.....the answer is out there.